Babywearing is a convenient way to multitask and often an easy way to soothe a fussy or teething baby. It’s not just for mamas, though. 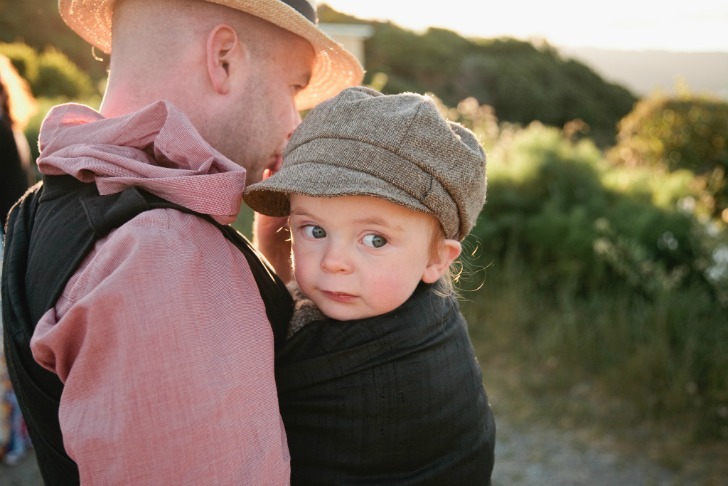 There are lots of great options for babywearing that will suit dear old Dad just dandily. 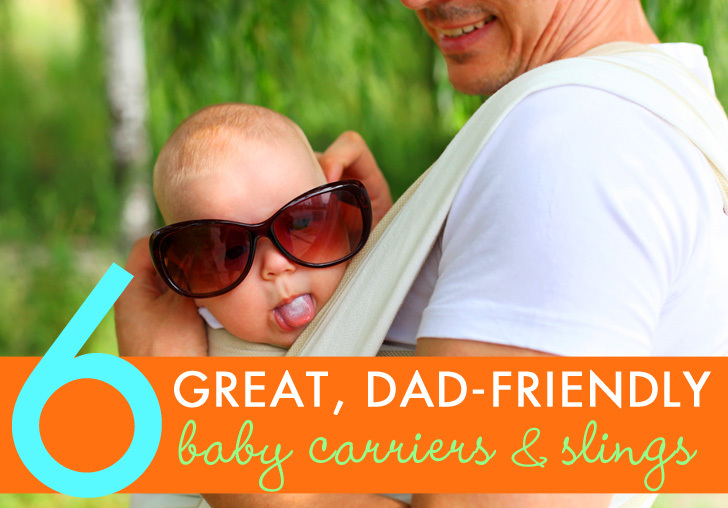 Help Dad bond with baby by using a carrier that works with his body type as well as his fashion sense. In general, the most popular baby carriers are the models that put ergonomics and comfort above aesthetics. Although most carriers will work for either parent, some are better suited for those with larger frames. Additionally, these carriers are easy to use and work with babies of all sizes, through toddlerhood. Beyond that, this list includes a variety of styles to offer something for those who wish for more flexibility, as well as for the dads who need to feel secure and supported. From a simple, traditional woven wrap to modern soft-structured carrier (SSC) styles, let dad choose what works for him and baby. 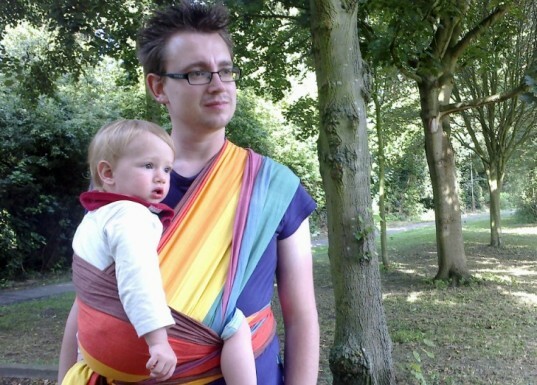 Made in a wide variety of fabrics including sturdy linen and super-strong silk, the ring sling is an easy option for babywearing dads. Since the size is fully adjustable, it’s a baby carrier that both parents can share, regardless of their body size or shape. Ring slings are also easy to pack into a diaper bag, making them very handy for travel near and far. 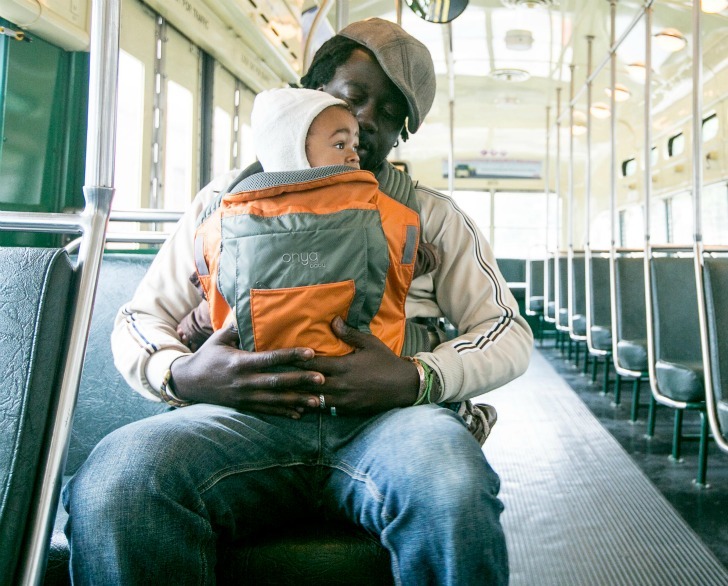 Perhaps one of the biggest names in babywearing, the Ergobaby carrier is another dad-approved option. Ergo carriers come in a wide variety of masculine and gender neutral colors, including black. 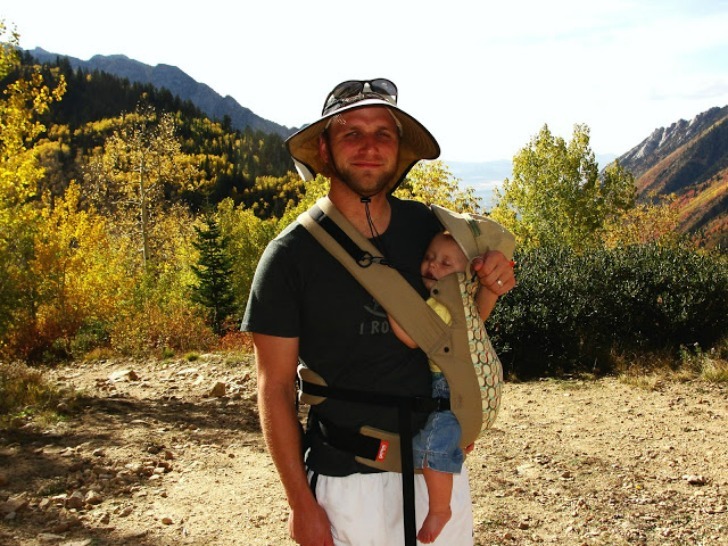 The Ergobaby carrier is also a comfortable option for a back carry, which makes it easy to get things done. These soft-structured carriers have adjustable straps and buckles for a perfect fit. Just snap on and go! The Beco Gemini is a small structured carrier that offers a lot of support. With padded shoulder straps and a fully padded body for baby, the Gemini is super comfortable to wear even for long periods of time. This carrier has adjustable straps and waistband that can fit a wide range of body shapes and sizes, including those well over 6 feet tall. The Beco Gemini is unique in that it offers a comfortable “hip carry” option, which many dads enjoy. Available in a variety of fabrics and patterns, the woven wrap is a go-to for old school babywearing. Although wraps come in sizes (different lengths) to accommodate different body sizes and babywearing techniques, wraps can easily be shared between differently sized people. Wraps tend to keep baby very close to your body, which can help dad feel more secure about baby’s safety. The mei tai is a traditional Chinese baby carrier and is often made simply from a strong fabric. Modern styles may include some padding in the shoulder straps or darting in the “seat” of the carrier, but a simple mei tai is easy to make at home if you don’t care for the luxuries. 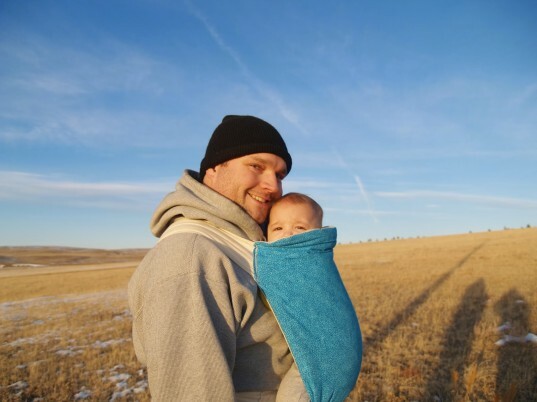 Dad will like a mei tai style carrier because it’s easy to put on, allows for a back carry, and can be wrapped up into a small bundle when not in use. The OnyaBaby carrier is similar to some other carriers on the market, but has some deluxe features that dads (and moms, too) might enjoy. This carrier includes a padded neck bolster for baby’s comfort, which is something most carriers don’t have. The OnyaBaby was also designed with an external pocket, great for stowing a small snack, wallet, or cell phone. You can even use the pouch to slip in a few ice packs to stave off summer’s fiercest heat. This smartly-designed baby carrier also doubles as a chair harness, so baby can go anywhere you do! The Beco Gemini is a small structured carrier that offers a lot of support. With padded shoulder straps and a fully padded body for baby, the Gemini is super comfortable to wear even for long periods of time. This carrier has adjustable straps and waistband that can fit a wide range of body shapes and sizes, including those well over 6 feet tall. The Beco Gemini is unique in that it offers a comfortable "hip carry" option, which many dads enjoy.